An increase in OR efficiency can benefit surgeons and the facility: The surgeons complete their cases quicker, and the hospital gets to count its smoothly humming OR as an area of positive revenue contribution. Here are a few steps you can take to increase efficiency in the OR. Examine the operation. 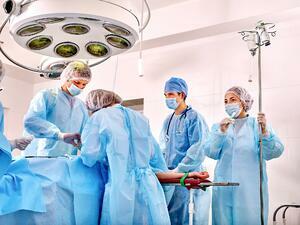 This doesn’t mean taking a close look at the procedure about to be done, but rather the overall procedures in the OR. An inefficient, disorganized process can result in delays, cancellations and incorrect instruments and disposables available or tools in the OR. Take a look at your data. If you haven’t begun collecting any, consider tracking items like staffing, turnover time, block time, first case starts and how the OR is utilized. These data points will give you a better picture of how your OR is running and any areas where inefficiencies lie. Think ahead. A top cause of delays in the OR relates to the use of equipment. If two procedures are scheduled for the same time and require the same piece of equipment, one of those procedures will be delayed until that one item is available, or if a procedure is delayed searching for a piece of equipment, the entire day’s OR schedule can be thrown off. Remedy this by meeting prior to the following day’s caseload. Your staff should examine which procedures will be occurring and what equipment is needed for each. This will help OR managers identify whether a piece of equipment is needed in two different procedures, or if a procedure needs a piece of equipment that is being repaired. Evaluating the caseloads a day ahead also helps managers effectively prepare case carts for the needs of each clinical team. Review scheduling practices. An OR starting the day behind schedule throws the rest of the day’s cases off track. Dr. Alex Macario suggests keep tardiness of the start of cases to less than 45 minutes per eight-hour day. Asking the OR manager to communicate when patients should arrive for their procedures, so they don’t arrive too early or too late. Taking a look at the following day’s OR schedule and scheduling appropriate delays between cases. Moving the next case to a different OR if possible to avoid additional delays, if a surgeon’s case is running over its allotted time. Looking at scheduled procedures and position the most predictable cases first with the least predictable later in the day to account for issues that may arise. Though OR use can be unpredictable, taking time to review the scheduled procedures, ensuring needed equipment is available and looking at the data on how your ORs function can increase efficiency, resulting in better outcomes for your patients and personnel.